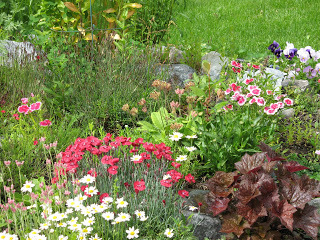 This is a picture of my rock garden with its many perennials. I like to sit in my glider and just look at all the flowers which surround me. This entry was posted in Uncategorized and tagged flowers, garden by admin. Bookmark the permalink.